Did you know it costs less to maintain equipment than to repair it, yet 90 percent of breakdowns are caused by a lack of TLC? Well, it’s true. But how can this be? It’s because people assume their heating, cooling, plumbing and electrical systems can fend for themselves. But that’s not the case. For problem-free operation, your equipment requires TLC. Unfortunately, from seasonal inspections to recurring checkups, giving these systems the care that they need can get pricey. That is, until now. At Cornerstone Pros, we vow to safeguard your comfort, your budget and your serenity by keeping your HVAC, IAQ, plumbing and electrical equipment performing at their best—no matter what. However, we value your time and money. So, even though they say you can’t put a price on peace of mind, with our Comfort Club, we did—and it’s completely affordable. Discover how this preventive maintenance agreement will put an end to your discomfort and rejuvenate your equipment’s operation again while staying within your budget. Why Should I Join Cornerstone Pros’ Comfort Club? Join our Comfort Club for reliable performance and comfort. Without regular maintenance, your air conditioner and heating system lose about 5 percent of their original efficiency per year of operation. In fact, studies show that regular maintenance not only protects the lifespan of your system, but it also helps you recover lost efficiency. When you invest in an annual maintenance plan, your HVAC unit will retain up to 95 percent of its efficiency for years to come. But wait, there’s more! Properly maintained heating and cooling equipment saves you money. That’s because it has a lower operating cost than equipment that doesn’t get the attention it deserves. For example, when your system’s refrigerant is either undercharged or overcharged by just 10 percent, it can increase your operating costs from $70 to $140 per year. As a bonus, your small maintenance investment will be quickly recovered with monthly electric savings through lower energy bills and reduced repair costs. What Should I Expect When I Join? Our company’s primary mission is to maximize your comfort level, year-round. Joining our Comfort Club turns this vision into a reality. As a member, here’s what you can expect. Our certified technicians will get your home ready for summer and winter on a semiannual basis with a thorough 77-point precision air conditioning & heating tune-up and professional cleaning. This comprehensive package is like having your heating and cooling systems rejuvenated to factory-fresh condition. 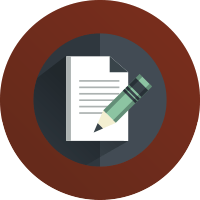 After completing our thorough inspection, we will provide you with a written performance evaluation that unearths your unit’s true wellbeing and highlights any issues that need to be addressed. Our team is here to help you keep your home going with the flow. To do this, we will perform a 43-point whole home plumbing inspection. Plus, depending on the condition of your water heater, we’ll flush your water heater’s tank once a year, too. This will prevent your hot water from giving you the cold shoulder, extend your plumbing system’s lifespan and decrease the risk of untimely breakdowns. When you feel safe and secure, peace of mind takes care of itself. So, for effortless serenity, join our Comfort Club. When you do, our trained electricians will perform a 71-point electrical & lifespan inspection once a year to ensure your electrical system is in top working order. 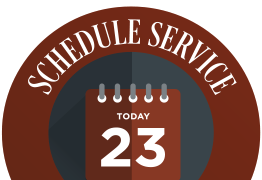 On top of that, your electrical system will receive priority-scheduling service on a regular basis. Not only will this leave you knowing you’re safe and sound, but it could add to the life expectancy of the appliances in your home, too. How Do I Benefit From Becoming a Member? If dependable and more energy-efficient operation doesn’t intrigue you enough to join our Comfort Club, check out these awesome benefits, too! You deserve to come first. Well, as a member, you will by being scheduled for service ahead of non-members. 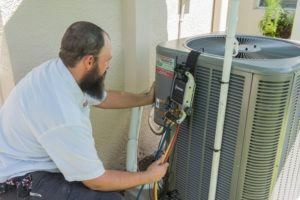 In short, if your air conditioner, heating system, water treatment system, water heater or electrical panel needs to be replaced, we will bump you to the top of our service list. This means, within 24 hours of a permit being pulled, our team will show up and perform the flawless installation you need. Facing an emergency? No problem! We’ll respond within 24 hours or less. Guaranteed. From a minor repair to a major malfunction, you receive a discount off of the standard price for all air conditioning and heating repairs. We properly adjust your refrigerant charge. If you need more, the first pound is free! Rates for diagnostic visits during normal business hours are discounted for Comfort Club members: $29 for plumbing, $49 for air conditioning and $69 for electrical. This is an $80 savings. For Platinum members, this fee is waived if service is performed at the time of the diagnostic visit. Members never pay premium rates for emergency service—no matter what time of day or day of the week, or even on holidays. Instead, you’ll receive greatly reduced rates on after-hours service—$49 for air conditioning and $29 for plumbing. This is a $146 savings off our normal after hours rates! Your systems could use more time—and so could your budget. As long as you remain an uninterrupted member and have semi-annual maintenance visits performed, the original warranty is extended for two more years from the time any parts and labor repairs were performed. *Price cannot exceed $129 for Silver members, $189 for Gold members and $289 for Platinum members. If you decide to sell your home, you will have excellent records of your properly maintained heating and cooling equipment. Also, the agreement is completely transferable to a new home or business owner for no charge. Gain access to our monthly e-newsletter to receive helpful tips and exclusive offers directly to your inbox. As a club member, you will receive a postcard reminder six months after signing up for the plan and then every six months thereafter for your free AC tune-up and a reminder annually for your electrical and plumbing inspection due dates. We will also reach out to you via phone if needed to remind you of your upcoming due date. It is our top priority to book these free tune-ups and inspections to make sure you receive the full benefits of the Comfort Club. We have three convenient ways to schedule. 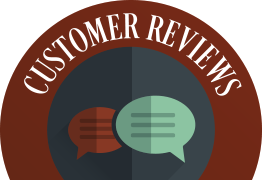 You may call our office and book with a live customer service representative at 813-995-7558, email service@cornerstonepros.com, or complete our online form with your request. You may also preset your maintenance appointments with a technician while he is in your home. Our office will contact you the day before your appointment to confirm the maintenance visit. We offer three different one-year plans you can choose from. Where Can I Get Started? Joining one of our Comfort Club plans is easy. It’s also a no-risk investment. That’s because you can cancel the agreement at any time for any reason—or for no reason at all. In turn, the unused portion of your dues will be refunded immediately. So what are you waiting for? 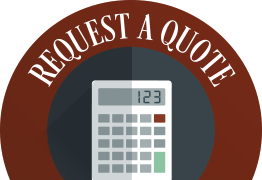 Start protecting your equipment, your comfort, your budget and your peace of mind by filling out our online form or calling us at 813-995-7558 today! Our team sets the foundation for the care & comfort you deserve—time and time again. Saving money never goes out of style. Cash in on our cool coupons and hot deals today!